The makeshift school in the village of Jubbet Ad-Dib, as well as all the necessary educational equipment, were financed by various international donors, including Belgium, so that young learners need not walk miles to the nearest education center. Israeli authorities declared the facilities illegal. They say the school was allegedly built without the required planning permits. 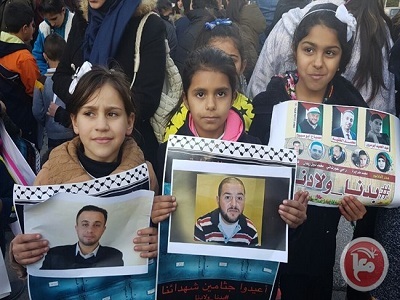 “Illegal construction that took place without obtaining the necessary permits from the authorized authorities occurred,” said Israel’s Coordination of Government Activities in the Territories (COGAT). Lately, over 50 such school demolition orders have been given. However, in the case with this particular school in Jubbet Ad-Dib, the order came the same night that the structures were destroyed, Slier reported. 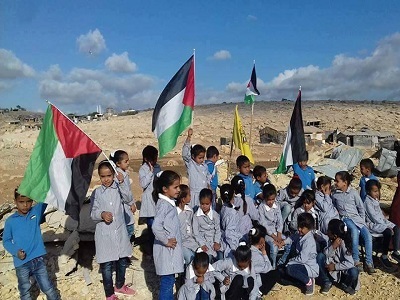 Israeli forces reportedly fired sound bombs and tear gas at some locals protesting the school’s demolition. “The soldiers came and started shooting in the air, throwing grenades at people and then started destroying the school,” a local girl told RT. “I’m so upset that they destroyed our school. I love studying so much. I want to become an engineer,” a boy shared. Belgium, one of the countries funding the educational project, has condemned the destruction and is demanding compensation from Israel. “By undermining such humanitarian projects, Israel contravenes its international obligations as an occupying power,” the joint statement from Didier Reynders, Belgium’s foreign affairs minister and Alexander De Croo, minister of development cooperation said. Meanwhile, tents have been put up to accommodate at least some of the children. Those are extremely crammed, with several classes happening simultaneously. “The kids from our village were so happy when they had a school. When it got destroyed, they were very upset. The kids used to love going to school, they were so enthusiastic about it. Now they are asking all the time: ‘Why do I have to study in a tent?’ The children need water, bathrooms, and there’s nothing like this in this so-called school,” a local woman told RT. But it appears that tents seem to be the only option for dozens of Palestinian children in the area. “I feel so sad that our school is destroyed, now I’m sitting in a tent in the sun,” a boy said. The closest school is about 6 miles (10 kilometers) away, a big distance for children of this age to walk. 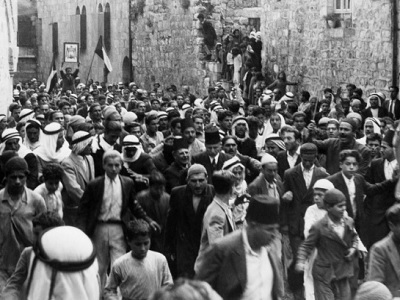 Many of them say they are often accosted by Jewish settlers along the way.